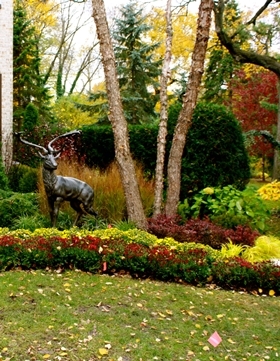 Here are some landscape prep ideas for fall and winter. Power rake your lawn to remove excess thatch. Aerate and overseed your lawn. Fall clean up, leaf removal from turf and beds. Cut back back periennials for winter. Adjust your mower height to 2.5”. Apply winter protection to roses and perennials. Water tress, shrubs, and evergreens before ground freezes. To add color to your landscape, plant beautiful mums and pansies in planting beds and containers. Please contact us with your tip or trick, we’d love to share your ideas! Keep up to date with Compass by friending us on Facebook or following us on Twitter. ©2018 Compass Lawn & Landscape, LLC. All Rights Reserved.